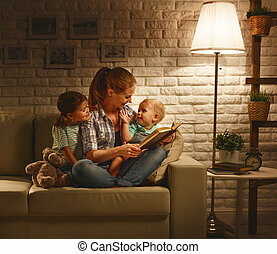 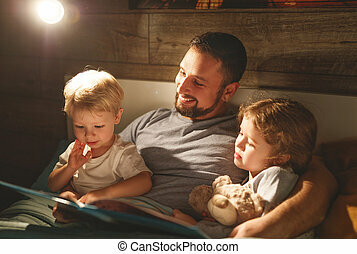 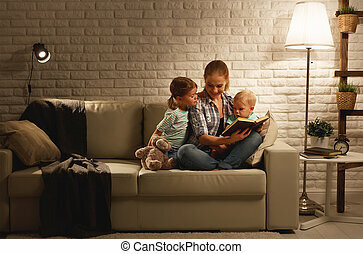 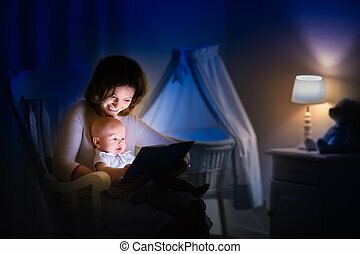 Family before going to bed mother reads to her baby son book near a lamp in the evening. 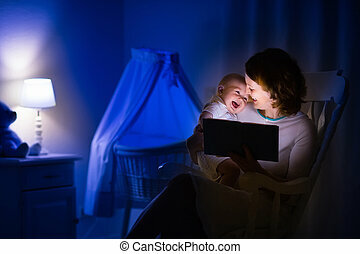 Family before going to bed mother reads to her baby son book near a lamp in the evening. 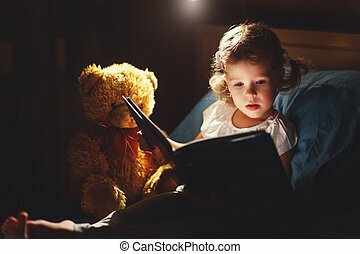 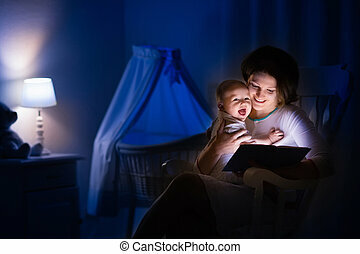 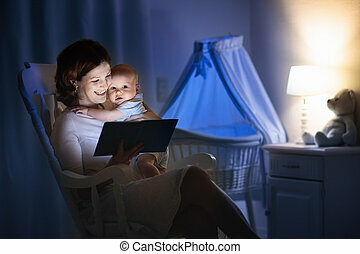 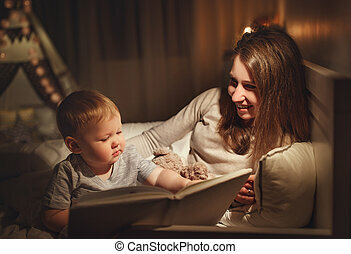 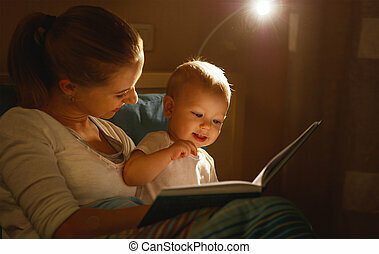 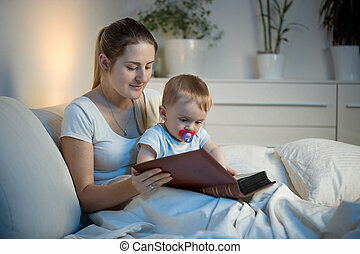 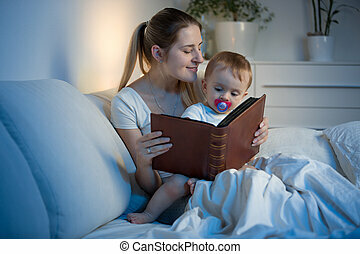 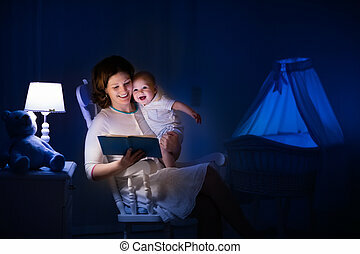 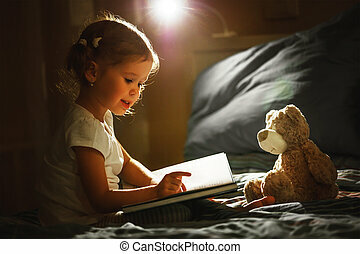 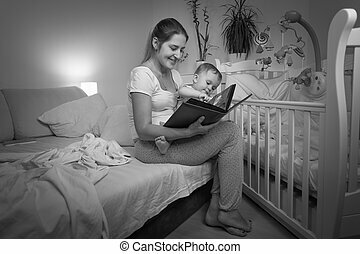 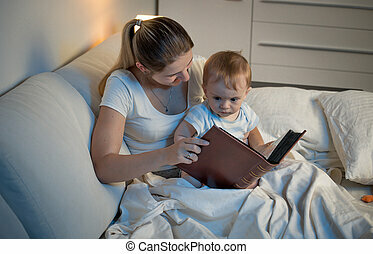 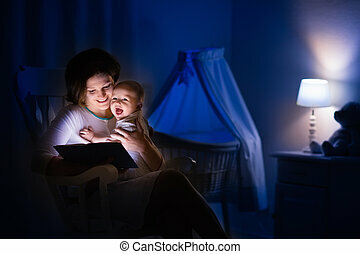 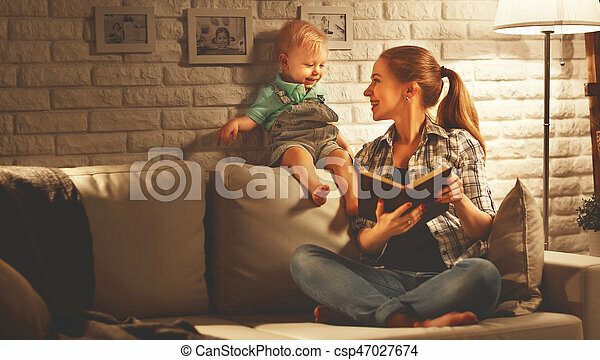 Mother and baby reading a book in dark bedroom. 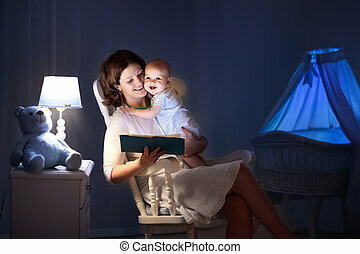 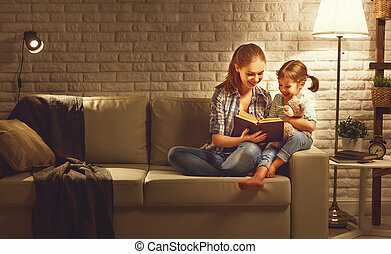 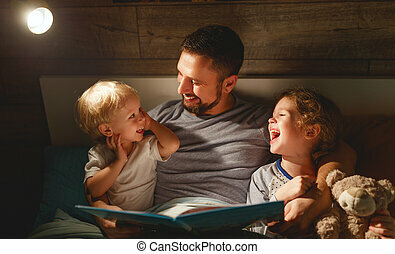 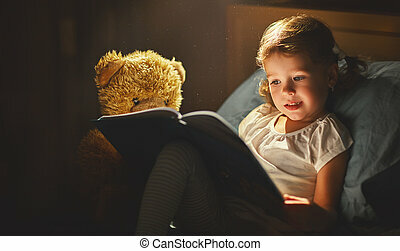 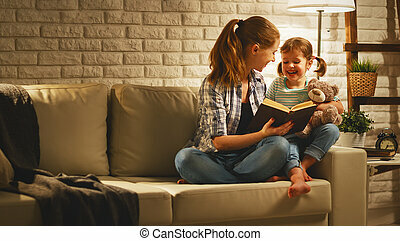 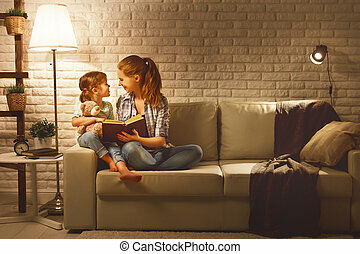 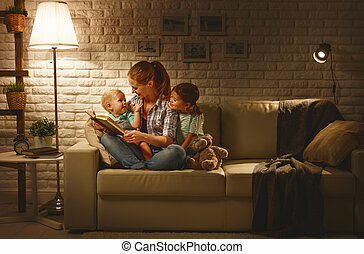 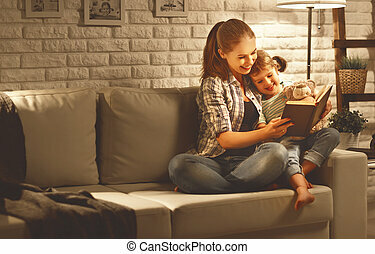 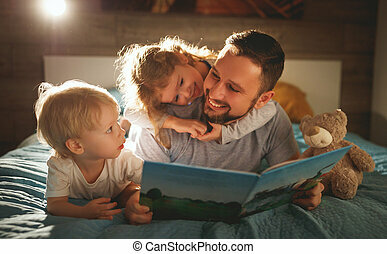 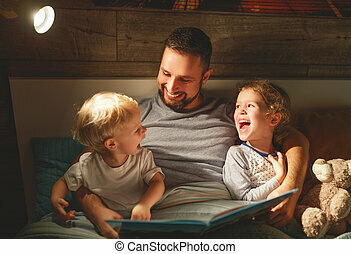 Mom and child read books before bed time. 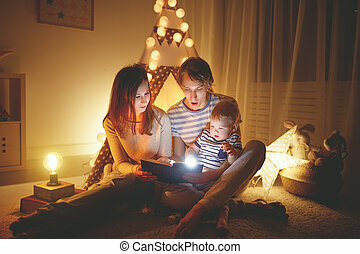 Family in the evening. 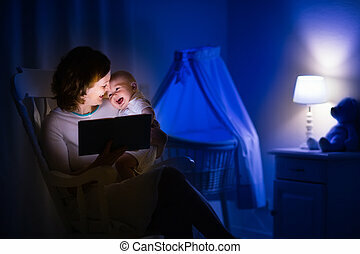 Kids room interior with night lamp and bassinet. 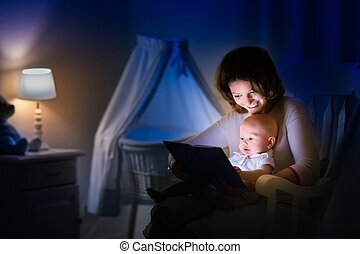 Parent holding infant next to crib.